Professor Jill Rubery, Director of the Work and Equalities Institute at Alliance Manchester Business School examines why progress on closing the gender pay gap within organisations requires a new debate on the principles and practices of fair pay. Similar pay gaps, to those at the BBC, can be expected to be found across the public and private sectors particularly for higher level jobs. Managers do not have independent knowledge of market value and often take a new recruit’s estimation of their worth as a starting point. Men are more likely to negotiate based on a high estimation of their worth. Women are very unlikely to ever catch up if they enter a company at a lower starting rate. These policy changes taken together could reignite the debate on pay practices in general and provide a new environment of more transparent job-based pay in which to continue the efforts to counter the undervaluation of women or women’s work. The row over the gender pay gap at the BBC has generated much steam but little clarity over where the problem lies, not helped by a PWC report that says there is no gender discrimination but fails to identify the underlying causes. Similar pay gaps can be expected to be found across the public and private sectors particularly for higher level jobs. To make progress what we need, in my view, is a proper public debate on how wages are set and more importantly how they should be set. The gender pay gap furore has developed independently of a wider critique of trends in wage setting- in particular towards more individualised pay and away from the notion of pay for a particular job or job grade. When equal pay laws were introduced, pay was largely determined by the job one was employed to do and the problem, therefore, was the lack of recognition of the value of the jobs done by women or the skills they deployed; hence the focus was on bringing in gender-sensitive job evaluation schemes. However, increasingly job-based pay has given way, particularly for middle and higher level employees to pay dependent on the individual’s market value and/or their assessed competencies. At the bottom end of the labour market, the situation is different, where the main issue has become how much to pay above the national minimum or national living wage, now seen as the going rate and the starting point for pay decisions. Consequently, for these workers, the gender pay gap has declined somewhat, mainly as a result of men’s pay being increasingly also tied to the minimum wage along with women’s pay, though it is women’s pay differentials above the minimum wage that have been squeezed most. For those whose pay lies well clear of the national minimum wage there is now a belief in the efficacy of the ‘market’ to inform employers on what someone is worth. This rehabilitation of the market as the true determinant of value is what lays behind major gender pay gaps for higher skilled staff. However, no one is really questioning this approach to pay determination; job-based pay is labelled old-fashioned and rigid and the continuation of gender pay gaps is treated as an anomaly rather than as a predictable outcome of more individualised pay setting. However, markets do not directly determine pay as employers have to sanction a salary based on information on the value of the recruited employee but much of that information comes from the potential recruit, hardly an ‘unbiased source’. Men are widely held to be more likely to set a high value on their worth and to bargain for higher starting pay. Women are very unlikely to ever catch up if they enter a company at a lower starting rate. Pay rises and promotions are also often predicated on expectations of retention issues and employers, often correctly, think they do not have to worry too much about the departure of their female employees if their husbands are in good jobs and unlikely to willingly become trailing spouses. Women being paid less than men for similar jobs become an expected outcome of pay being linked to the ‘market’. To some extent the publicity around the BBC pay gaps at the top end is distracting attention from those strategies and policies most likely to help the mass of women workers, such as raising the national minimum wage (and limiting employers’ freedom to cut working hours to pay for it) and lifting the pay cap in the wider public sector where the vast majority of women with higher education are employed, thereby restoring more value to the important jobs of, for example, teaching and nursing. To address the inequalities within occupations and organisations for similar or equivalent work we need to develop a new understanding of how pay should be determined and re-establish the primacy of the job and its value to the organisation over the individual and their market power. This may mean starting a national public debate on what is fair pay. Two policies may be needed to bring this about. The first is to require pay levels to be transparent. The only real way to hold managers to account for their pay decisions is if their actions are visible. Ideally, this would mean making everyone’s pay public knowledge but if that is a step too far, then at least the range of pay within comparable jobs should be available. The second requirement is to expand the current rights for equal pay for work of equal value in two directions. The first is to extend the right to everyone to equal pay for work of equal value that is men as well as women, as it is difficult to engage men in a debate on the fairness of pay if only anomalies related to women can be legally remedied. The second proposed expansion is to establish a general right for pay to be proportional to value. At present, if a job done by a man is deemed to have slightly higher value, there is no legal requirement for the pay differential to be proportional to the difference. This provides the basis for wide differentials at the top end even if the current law were effectively applied. These policy changes taken together could provide a means of reigniting the debate on pay practices in general and provide a new environment of more transparent job-based pay in which to continue the efforts to counter the undervaluation of women or women’s work. A nation that has no view on what the principles of fair pay should be in my view has no hope of remedying the specific but persistent problem of gender pay discrimination. 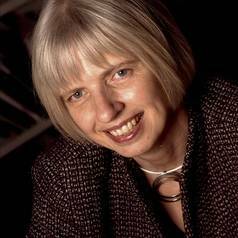 Prof Jill Rubery is Professor of Comparative Employment Systems at Manchester Business School, The University of Manchester, and is a member of the Manchester Fairness at Work Research Centre.